WATCH: Prepare For Festive Feels As Camila Cabello Serenades Us With Justin Bieber's Christmas Album! We're SO hyped for Christmas. Even if we're REAL early for it... Ty, Camila. Just to clarify, it's the middle of October. Christmas Day falls on December 25th. And yet, when Camila Cabello swung by, we felt more festive than we've felt before. 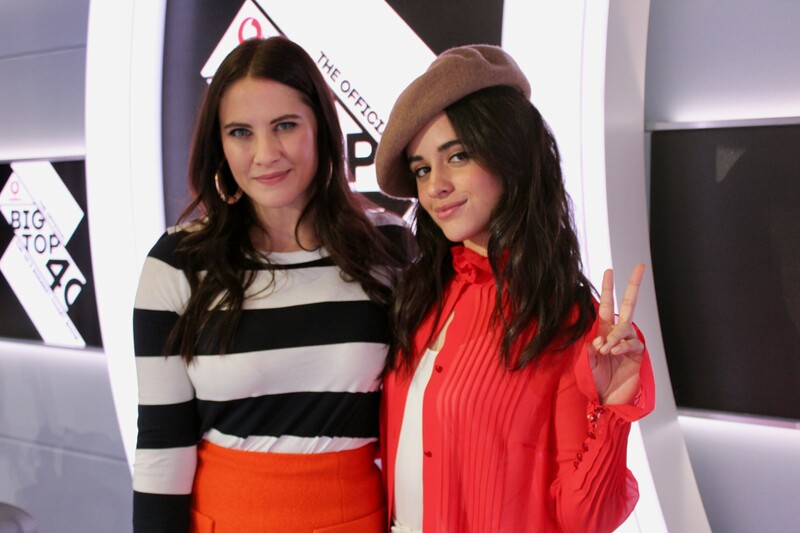 During her visit to the Vodafone Big Top 40, the 'Havana' singer stated how hyped she was for Sia's upcoming Christmas album, and had to get involved. > Is A 'Despacito' Remix Featuring Camila Cabello On Its Way? Camila channelled her inner-Justin Bieber, and decided to sing a few tunes from the 'Sorry' singer's 2011 Christmas album, 'Under The Mistletoe'. And the best part? Not only did this sound like the most iconic carol singing, but she did it with a sore throat. And to think - we can't even sound this beautiful on our top days. > Where Will Camila Reach In This Week's Big Top 40? Check Out The Chart Now!